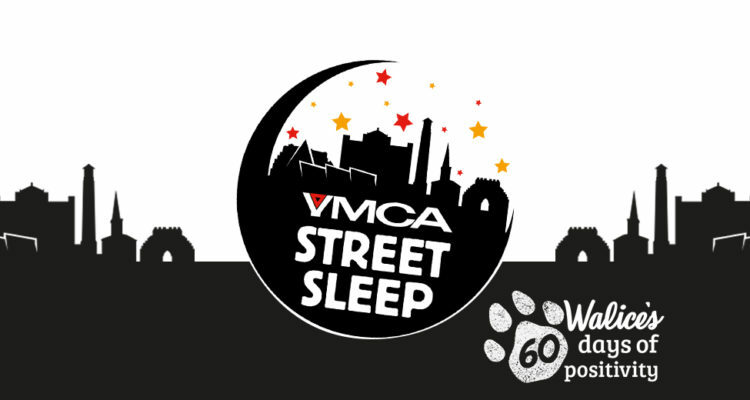 On Friday March 15th, in Southampton Guildhall Square, 70 participants and 20 volunteers came together, giving up the comfort of their warm beds, to sleep outside overnight on behalf of YMCA’s Street Sleep Fundraising Event. 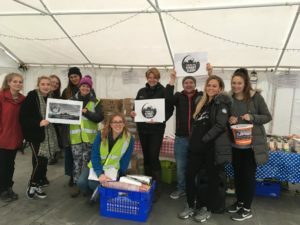 Raising over £16,000 this fundraiser was our biggest Street Sleep yet, with everyone working in collaboration to raise money to give vulnerable young people opportunities to lead happy, healthy, lives. Imagining yourself in someone’s shoes for a moment can help us understand some of the difficult experiences and challenges they may face. The Street Sleep event does this to help raise awareness and to demonstrate the challenges faced by young people. Local companies such as ZenZero, Asda, Destination Southampton and Networker’s Technology, sent a team of their employees to participate in the fundraising event, equipped with simply a cardboard box and the basics, the challenge was set to build the best den for the night – there were some very artistic results! Corin Ball, YMCA Participation and Fundraising Events Lead said “We are very grateful to all those that have participated, volunteered or donated to this event and hope they walked away with more understanding as to why we need our communities to help us support those at risk. 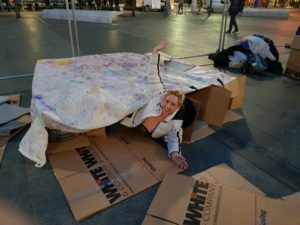 We appreciate that sleeping outside for the night isn’t for everyone, but you can still offer your support by donating. 2019 was our most successful fundraiser and we hope to continue to keep this trend! Thank you all for working alongside our YMCA family, for your feedback and for helping our communities work towards giving a happy healthy life to everyone. If you are interested in taking part in Street Sleep 2020, please email [email protected] to find out more.